While the campaigns eagerly pursue female voters, there's something that may raise the chances for both presidential candidates that's totally out of their control: women's ovulation cycles. 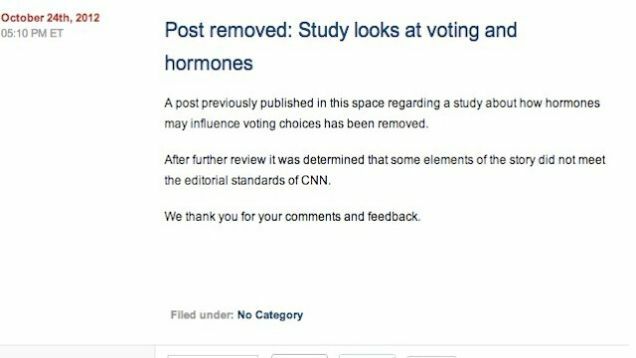 It seems like 282 mostly angry comments and several scathing online responses brought CNN to its senses; a few hours ago, they removed the post, saying it didn't meet their standards. However, it should be noted that Erick Erickson is still on CNN's payroll.